In a year where the superhero genre was set to flourish to new heights, it was to be expected that not every film would live up to the hype. These are blockbusters with hundreds of millions of dollars riding on the line, and movie studios need to ensure that there is some return investment guaranteed no matter what. Unfortunately, when you have clashing creative ideologies, it can result in a film being ruined by the old adage of “too many chefs in the kitchen,” and while every major movie arguably faces this issue, it could not be seen more prominently than in “Suicide Squad”. Directed and written by famed filmmaker David Ayers, “Suicide Squad” was marketed on the revolutionary idea of a superhero film focusing on the villains over the good guys. However, despite this interesting concept, the film fell very flat. Here are 5 reasons we believe that this was the case (spoilers beware). 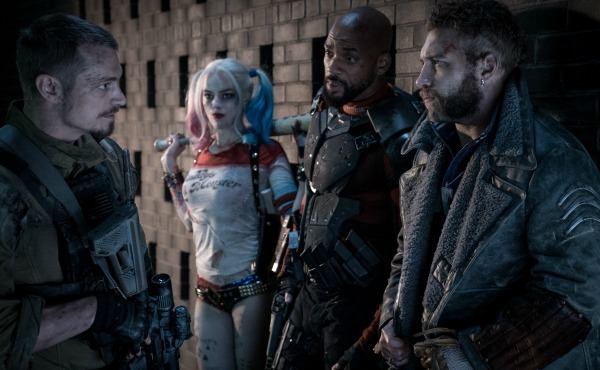 During “Suicide Squad’s” production, a strong rumor emerged claiming that reshoots were being done to add more humor to it in response to criticisms against “Batman v Superman” that called it too dark. While Ayer brushed this off as false, the final version of “Suicide Squad” strongly indicates that these reports were in fact true. The narrative was entirely tonally-inconsistent, going from hard PG-13 scenes to light PG-13 to outright G-rated humor, sometimes abruptly. 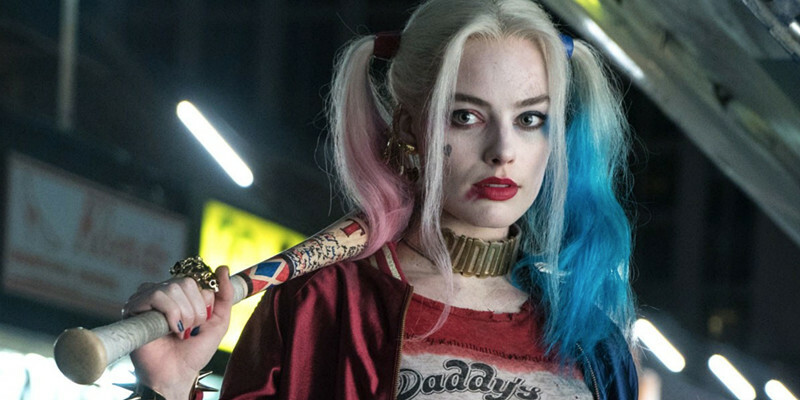 Parts that should have been serious were often interjected with aimless comedy that ruined any emotion or tension built-up (Killer Croc’s “I’m beautiful” line in the bar), while several scenes were supposedly restructured in a way to make them lighter (such as Joker pushing Harley out of the helicopter- changed from doing it to murder her to doing it to save her). It is very clear that there was a conflict between Ayer and the producers. Ayer is best remembered for his gritty urban work in films like “End of Watch” and “Fury,” so seeing “Suicide Squad” degrade itself with pointless comedic acts seems counterintuitive to his established filmography. The idea of bringing the Joker back to the big screen only eight years after Heath Ledger’s Oscar-winning performance was one that was met with a mixed response from the fan community. On the one hand, movies should not be limited by their predecessors, but on the other having a new incarnation of a recently-portrayed character could be seen as over-relying on prior legacies. Regardless, the casting of Jared Leto helped put a lot of this skepticism to rest. Revered for his work in “My So-Called Life,” “Requiem for a Dream,” and “Dallas Buyers Club,” for which he also won an Academy Award, Leto seemed like a great choice to take on the mantle of the Joker. Consistent praise from the cast regarding his method acting helped drive up the hype. Unfortunately, Leto’s talent was ultimately wasted. 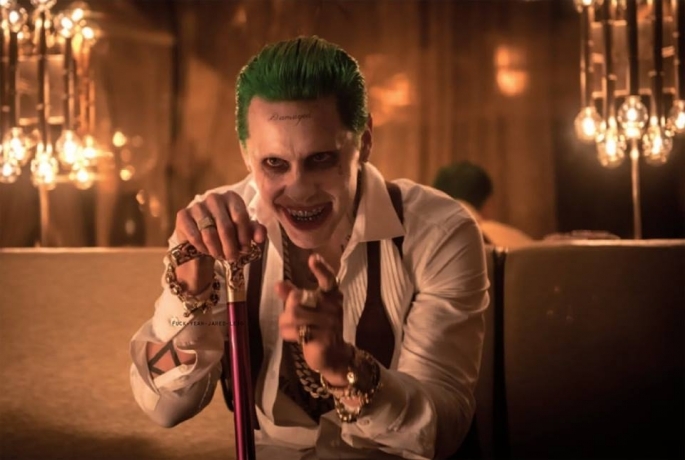 The “Suicide Squad” version of Joker proved to be unique from an aesthetic and personality standpoint, but his scenes were so jarringly juxtaposed into the narrative that he came off as irate, unwelcome, and too romantic. His purpose was primarily to be a supporting character to Harley Quinn’s arc (played by Margot Robbie), which meant that he was degraded to a one-dimensional goon that randomly spurted up throughout the film. To be fair on Leto, a lot of his scenes were removed from the theatrical cut, a fact that he himself was publicly angry about. An extended cut of “Suicide Squad” has subsequently been released, but considering that there are still many reportedly deleted scenes not included in it, we are reluctant to recommend watching it. At the 2015 San Diego Comic Con, David Ayers prominently declared that it was “time for bad versus evil.” Indeed, what made “Suicide Squad” stand out from the upcoming slate of superhero movies was its premise; a bunch of supervillains were being forced to take on an antagonistic threat. With an all-star cast running the show, this had fans highly anticipated for the moral ambiguity that superheroes typically do not deal with. And yet, none of this played out on the big screen. Every villain seemed to be a genuinely good person that happened to have a tragic background. Deadshot conveniently had a code that prevented him from killing women and children; Harley was brainwashed by the Joker; Diablo killed his family, and June Moon was simply possessed by the Enchantress. Even Joker acted heroically by seemingly sacrificing himself to save Harley. The “Suicide Squad” comics, while never achieving mainstream success, were remembered for their surprisingly grounded conflicts. What this means is, is that while Task Force X was often assigned to take down superpowered threats, the writers treated it realistically, never turning to any fantasy tropes in order to resolve the storyline. 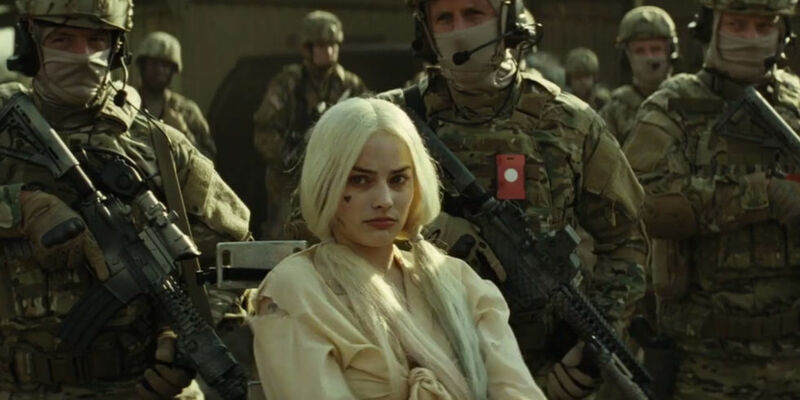 “Suicide Squad’s” main antagonist, the supernatural Enchantress, was not exactly the best choice for a film that was marketing itself as living in the deconstructed reality of the DC Extended Universe. While it was an interesting way of introducing magic into the DCEU, it did a disservice to the movie by having yet another CGI monstrosity be the finale of the film. But that in itself would not have automatically been negative were it not for how underdeveloped the character was. As stated before, June Moon was possessed by a malevolent spirit and….that is it. We learn next to nothing about who she is, what her personality is like, why she went into archaeology, how she feels about the Enchantress being inside her, and so forth. The Enchantress is not treated much better. We do not learn anything about her mystic origins, only that she and her “brother” reside on the planet and are somehow controlled by their organs that are, for some unexplained reason, strewn everywhere as relics. Without a proper backstory, the Enchantress fell very flat as a villain. In every movie, a character has to undergo some change that indicates they became a different person, for better or worse. It is the basic definition of character development, and a sign of good narrative. As mentioned above, most of the members of Task Force X were largely good people. Any negative acts they committed were either motivated by the best of intentions or brought about by being in a flawed environment. Thus, at the end of the film, what exactly was the point of anything? Everyone is sent back to prison, Moon and Flagg get back together, Joker and Harley are reunited, and Deadshot gets to visit his daughter again. In other words, the status quo was restored. Nothing truly happened in the way of thematic storytelling, outside of a mid-credits scene that only served to build-up “Justice League”. 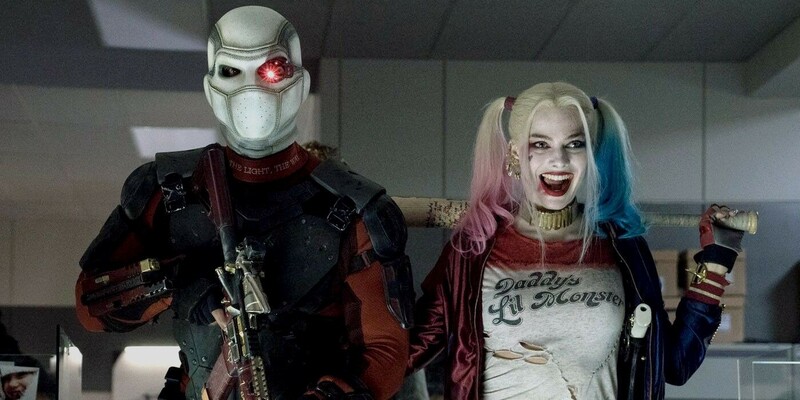 If “Suicide Squad’s” sole purpose was to introduce audiences to all these supervillains, then it somewhat succeeded at the cost of a coherent plot. Author Bio: Red Stewart is big fan of the entertainment industry, with insights into film, television, and video games for starters. Despite growing up in the 21st century’s era of modernization, he prefers many retro era ideas over the current trends found in many of today’s media. Personally he’s an introvert who loves reading as much as gaming.